The following article is devoted to Recommended Starter Fish for Beginner Fishkeepers. 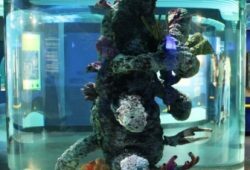 Planning is the key for a successful aquarium. It is a temptation to go the pet store and buy fish at random without knowing which fish are compatible. Water conditions are a factor when deciding what fish to buy. For example: Discus need water with a low PH and African Cichlids need a high PH. 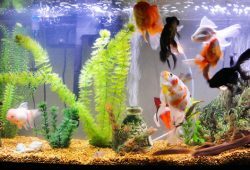 Goldfish offer a wide variety to choose from and don’t require a heater in the tank. In addition to the common goldfish, there are other varieties such as the Comet, Shubunkin, Black Moor, and Bubble Eye Goldfish to name a few. Tetras have numerous species; the more common varieties are Red Eye, Bloodfin, Serape, Black Skirt and Neons. Tetras are schooling fish so they should be kept in a small group. Most Barbs and Danios are hardy fish and many species are available. 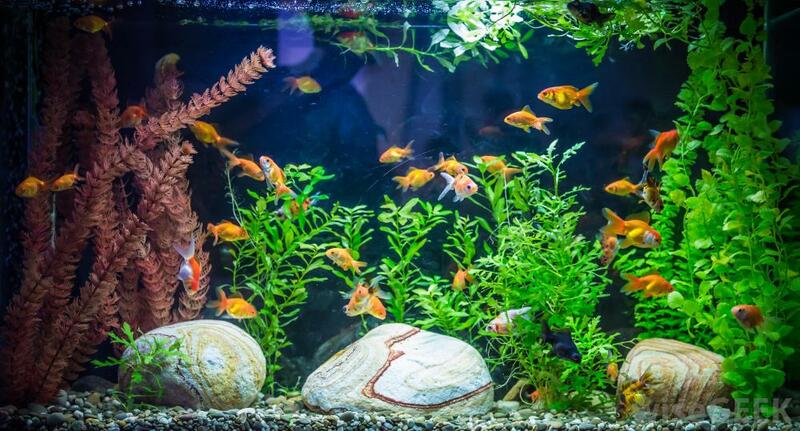 The popular species of Barbs are Cherry, Rosy and Gold but not Tiger Barbs. Zebra Danios are the most common species for the aquarium. These colorful fish should be bought in groups. Livebearers, such as Platys, Swordtails, Mollies and Guppies are extremely popular because they are easy to breed and are very passive. They are available in a variety of colors and sizes. Gouramis are the hardiest of all the species and are compatible with most fish except some males may show aggression towards long-finned fish. Dwarf varieties are popular because they are more peaceful. Discus require a lot of attention. The water conditions are hard to meet and to keep steady. The level of water hardness and PH must be strictly controlled or the fish will get sick. Picking other community fish to keep with Discus is difficult because the water conditions are not the same. Butterfly Rams are beautiful but like Discus, they need a lot of special attention. Water conditions again play a major role in the health of these fish and they are far too much work for any beginner. Angelfish are another hard-to-keep fish but this is not due to water conditions . They tend to get aggressive as they get bigger and like to nip the fins of other fish. Tiger Barbs are like Angelfish and can get aggressive with other fish in the aquarium. Some other Barbs are fine for beginners but Tiger Barbs are best kept in a tank of their own. Avoid buying expensive or rare fish. Do not buy fish whose mouths are bigger than the other fish in the tank. 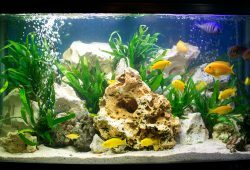 Stay away from cichlids because they usually grow large and are very aggressive. It’s best to gain experience as to what cichlids are compatible. No matter what fish are chosen, it is necessary to do some research on each species. It is important to pay attention to water conditions, adult size of the fish, and compatibility. Fish, Plants or Other Pet?